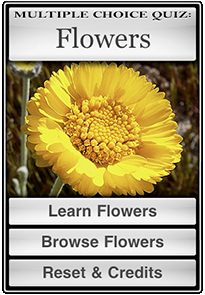 LEARN ABOUT FLOWERS: from common daffodils to exotic birds of paradise using visual recognition. AMAZING PICTURES of a large variety of flowers that inspire learning (and gardening!). The app also lets you browse the flowers to become more familiar and for fun! There is no better or easier way to introduce yourself to these exotic and beautiful flowers!